Yes, it certainly does appear that way, and that player's name is Lydia Ko. Lydia will be heading to Hawaii soon to play in next week's Lotte Championship. Lydia will be trying to win for the 3rd consecutive week. She won the Kia Classic 2 weeks ago, and followed that up by winning the LPGA's first major championship of the season, the ANA Inspiration, last week. Lydia holds up the ANA Inspiration trophy she received last week. It was her 2nd major championship victory. Lydia was born Bo-Kyung Ko on April 24, 1997 in South Korea. She emigrated with her family to New Zealand as an infant and gained citizenship there at the age of 12. Ko started playing golf at the age of 5, and started getting the media's attention when she competed in the New Zealand National Amateur championships at the age of 7. 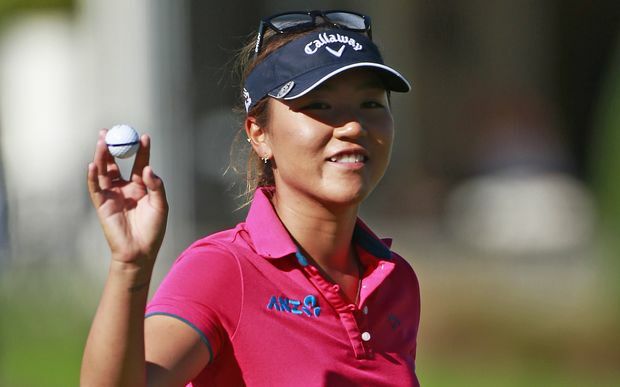 Lydia Ko became the youngest winner in LPGA history when she won the 2012 CN Canadian Women's Open. On January 29, 2012, she became the youngest person ever to win a professional golf tour event by winning the Bing Lee/Samsung Women's NSW Open on the ALPG tour. She was 14 at the time, and had placed 2nd the previous year. That record was broken later that year when 14 year old Brooke Henderson won on the Canadian Women's tour. On August 26, 2012, at the age of 15 years and 4 months, Ko became the youngest ever winner of an LPGA event, winning the CN Canadian Women's Open. In August of 2013, Ko became the only amateur to win 2 LPGA events. She was the top ranked woman amateur for 130 weeks, when she announced she was turning pro on 10/23/13. As an amateur she never missed a cut in 25 professional tournaments. 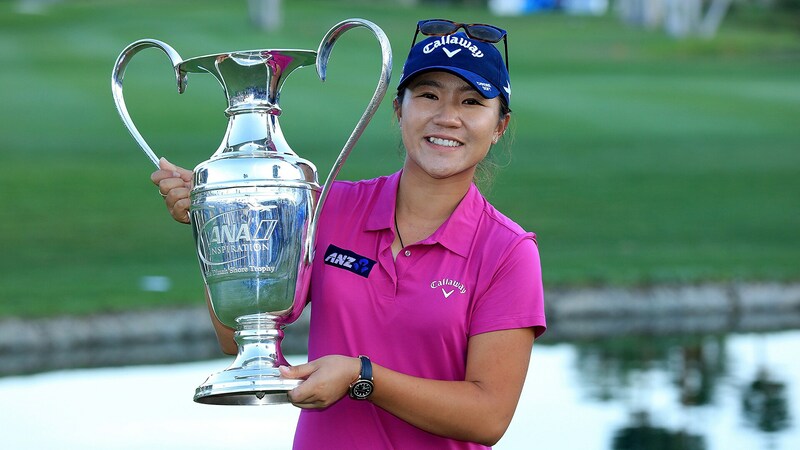 On July, 30, 2014, She became the youngest millionaire ever on the LPGA tour, taking in earnings of over 1 million dollars at the age of 17 years, 2 months, and 26 days. On November 12, 2014, Ko became the youngest player to win the LPGA Rookie of the Year, at the age of 17 years, 6 months, and 19 days. 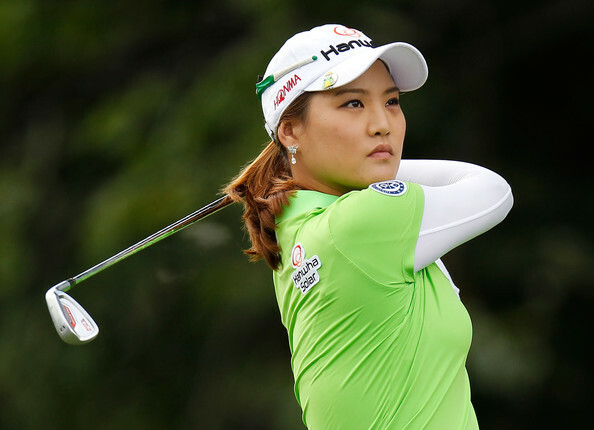 On November 22, 2014, Ko became the youngest player to top the LPGA official money list. On November 22, 2014, Ko became the youngest player in any major sport to win MVP/Player of the Year award. LPGA - Lydia Ko (18), PGA - Tiger Woods (21), NHL - Wayne Gretzky (19), NFL - Jim Brown (21), NBA - Derrick Rose (22), and MLB - Stan Musial, Johnny Bench, Vida Blue (22). On April 2, 2015, Ko tied Annika Sorenstam for the most consecutive rounds under par in LPGA tour events, 29. On February 2, 2015, became the youngest player of either gender to be ranked number 1 in professional golf at age 17 years, 9 months, 8 days. On September 3, 2015, Ko became the youngest woman, 18 years, 4 months, 20 days, to win a major championship. Her final round 63 was the lowest final round score in the history of women's golf majors. 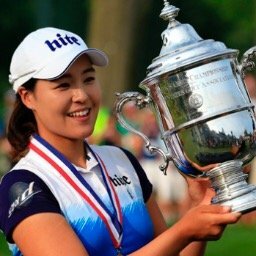 On April 3, 2016, she became the youngest player in LPGA history, 18 years, 11 months, 10 days, to win 2 major championships. There were many more highlights, but I am going to stop there. Yani Tseng: I took the best 3 years of her playing career (2009 to 2011). Now we all know what happened to Yani after those 3 great years. Her career percentages have fallen down dramatically. But even at her best, her numbers are not as good as Lydia's. At only 21 years of age, Lexi's stats are quite impressive, but not even close to Ko's. This is a very small sample as Brooke has been on tour for less than a full season. These numbers are quite impressive but still not nearly as good as Ko's. Though I think we will be seeing some great battles between these two for years to come. Once again, Lydia is tops in every category. And this is a Hall of Fame player! Now these numbers are close. But still not as good as Lydia Ko's. I also think that Lydia is playing against much tougher competition. I tried many other players, but Lydia still came out on top by a good margin. I then tried the men. I tried Jack, Arnie, and Phil.....and many more. I will spare you the actual stats, but Lydia still came out on top. Tiger becomes the champ. But Ko still isn't that far behind. Can Lydia ever approach these numbers? Time will tell. It certainly gives her something to shoot for. I think everyone who has been involved with her career even from a young age could see her potential and year on year she has delivered and improved way beyond expectations. I know this can't continue forever so we should just embrace the present. It's always hard to compare as you then also need to take into consideration how good was the opposition, rule changes, equipment, etc. Example her only ever missed cut by calling a penalty shot on herself under the new 2016 rules would now not be a penalty. I also think she has one of the best professional teams behind her both men and women in the game. She has enabled this from her amateur results and now I think it does give her some advantage especially in the R & D department. Having said that you sill need the talent to use it and as we all know Lydia is not short of that. Another informative post Tony thanks. Lydia's accomplishments are amazing indeed Tony. If she stays healthy(avoids escalators:)the possibilities are endless. Though I'm a Brooke Henderson fan and a proud Canadian, as good as Brooke is, she has her work cut out for her to catch up to Lydia. Either way, watching the LPGA has never been more enjoyable and I now look forward to each and every tournament. 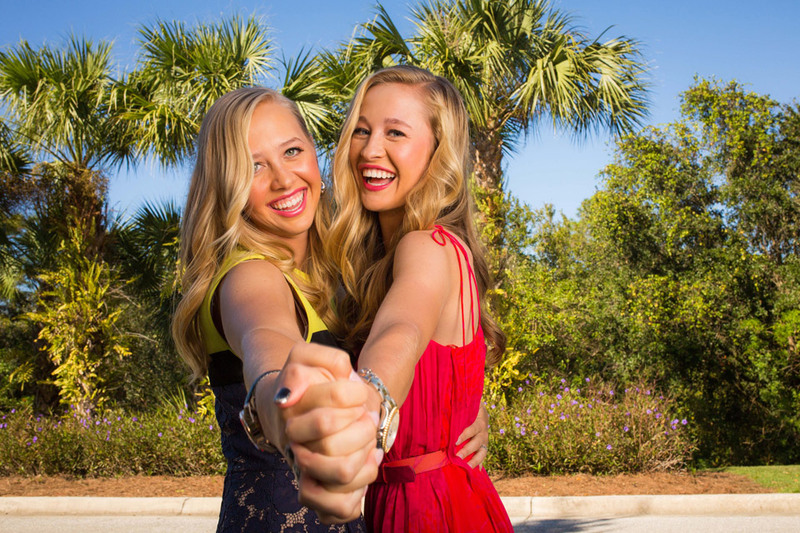 I already believe Lydia is the best LPGA player ever. She is the best 7 to 15 foot putter I've ever seen on the LPGA or the PGA, she has nerves of steel, she can hit almost every shot, she's fearless, and on and on. While I believe Alison Lee and Minjee Lee might have more overall talent, and the skills to hit every type of shot, Lydia obviously is a Champion, and neither Alison nor Minjee has proven the same. If Lydia stays healthy, she will shatter Sorenstam's modern record of 10 majors, and the all-time record of 15. I think she'll even take out Jack's 18.